Booked in for some archery tag with Archery Games? Curious about axe throwing or an escape room? 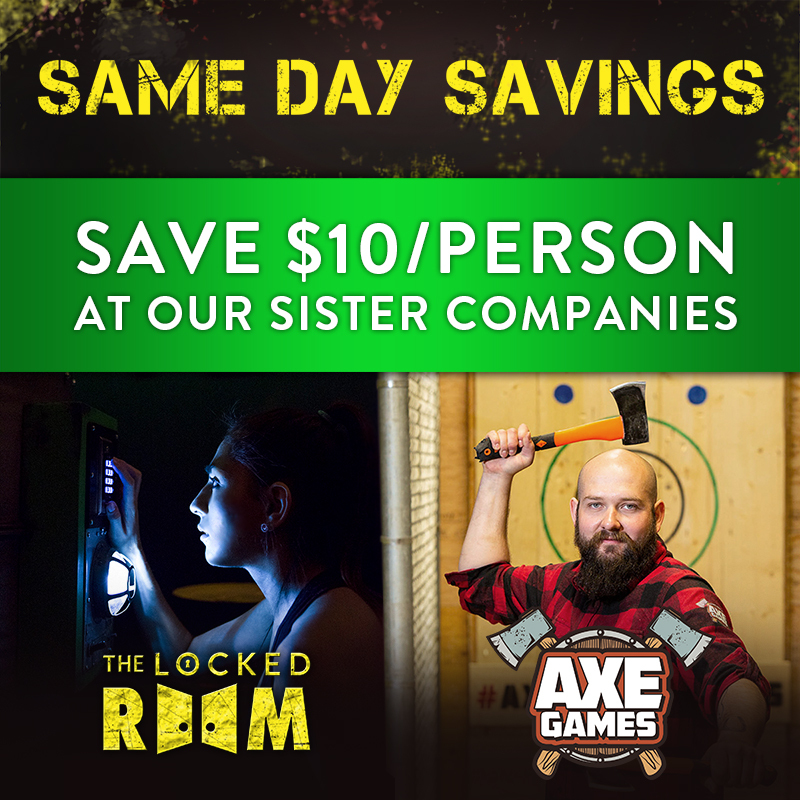 Play one of our sister companies the same day and SAVE $10 per person! Call: (587) 387-2337 to add on a same-day axe throwing and/or a Locked Room to your booking. Provide your booking information and receive a $10/pp discount for these activities! The Axe Games and NE Locked Room facilities are located in the same complex as Archery Games at 2015 32nd Ave NE. Archery Games Calgary often has coupons, discounts, deals, and promotions throughout the year via our website and online booking system. You can view these amazing Archery Games deals here with our new Promotions webpage! Our Archery Games Promotions webpage allows you to view our current promotions and see in real time when an offer expires with a handy online countdown timer. Another way to keep in the know about our great offers is to sign up for our monthly newsletter here. You have successfully subscribed to Archery Games Calgary!